South Korean tech giant LG has plenty of Google Assitant-equipped and compatible products in its portfolio already, as well as Chromecast soundbars with Dolby Atmos. At CES 2019 next month, the company will show off a new lineup of soundbars in collaboration with Meridian Audio. 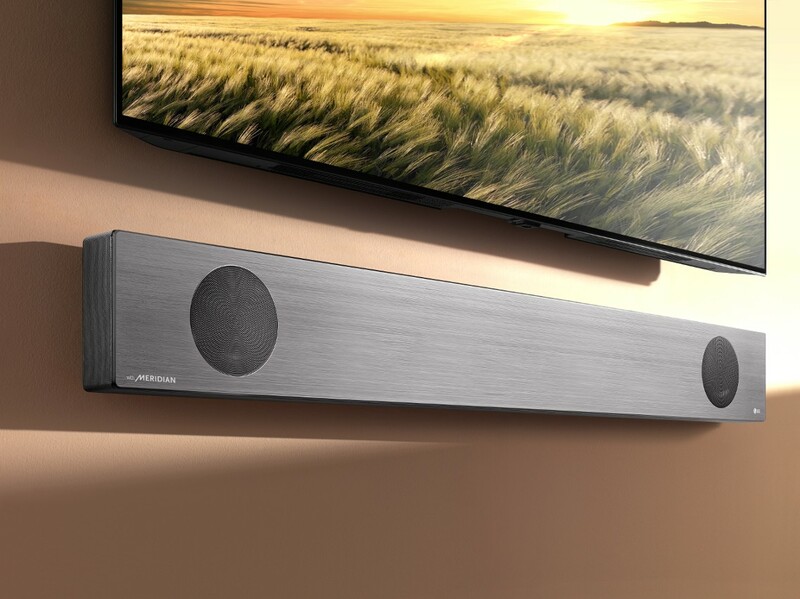 Three new models — catchily named SL10YG, SL9YG, and SL8YG — all feature high-res audio technologies such as Dolby Atmos and DTS:X. Meridian Audio enhancements such as Image Elevation and Upmix add to the immersive, realistic audio offered by these soundbars. It's also possible to achieve cinema-like sound by appending LG's Wireless Rear Speaker Kit. With the Google Assistant built in, the soundbars can be voice-controlled, as well as offering answers to questions and control of other smart home equipment. Whether fixed to a wall beneath a TV or placed on a flat surface, the 57mm deep SL9YG model uses a gyroscope to adjust its sound depending on the direction it's facing. LG can already boast a CES 2019 Best of Innovation award this range, so it will certainly be something worth checking out on the CES show floor in Vegas. 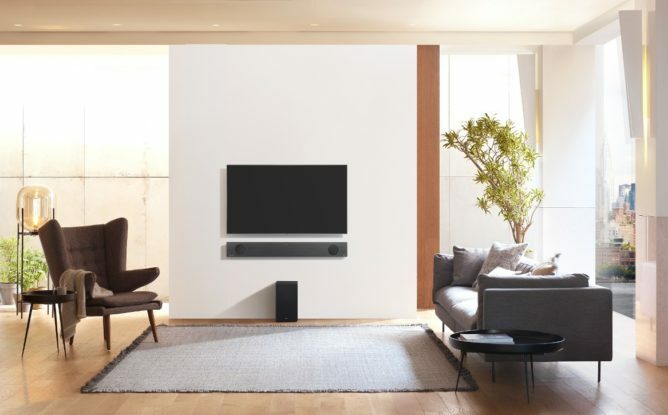 SEOUL, Dec. 27, 2018 — LG Electronics (LG) is set to delight home theater enthusiasts around the globe yet again with the introduction of its latest soundbar lineup at CES 2019. 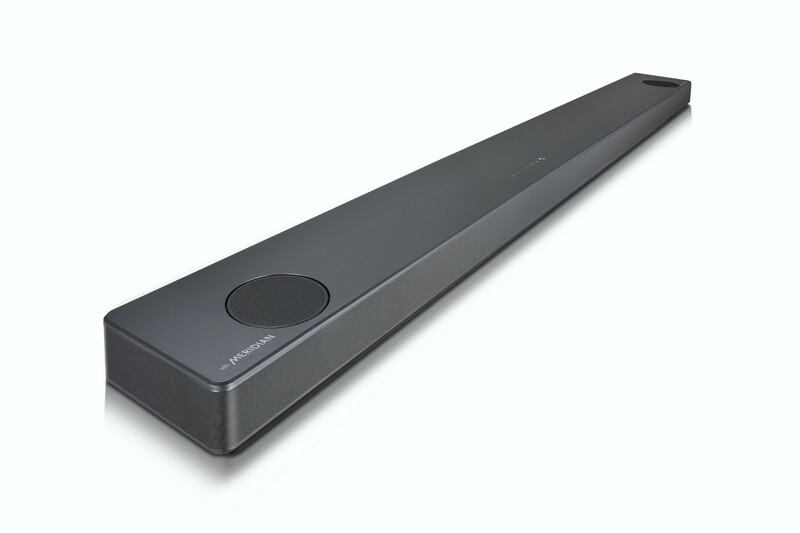 The company’s new soundbars deliver superior sound quality through a collaboration with Meridian Audio – pioneers of High-Resolution Audio – along with smart functionality and a sleek, modern design. Delivering strong, multi-dimensional sound that fills every corner of the room and equipped with the convenience of AI, LG’s 2019 lineup creates truly immersive user experiences and features two CES Innovation Award recipients (models SL9YG and SL10YG). LG’s premium SL9 rose above the competition in its category to take home the coveted Best of Innovation title. Working closely with Meridian, LG continues to improve sound quality across its product portfolio, extending its evolving technology to three soundbar models (models SL10YG, SL9YG and SL8YG) this year. The collaboration goes far beyond basic fine-tuning or the adoption of feature-sets, with both companies joining forces to engineer sound delivery for a truly unrivalled listening experience. Drawing on 25 years of experience as the masters of Digital Signal Processing, Meridian’s Bass & Space technology improves the soundstage and envelops listeners in rich, uncompromising sound and strong bass. Together with its Image Elevation technology designed to lift the soundstage and envelops listeners in rich, uncompromising sound in a more lifelike way to boost listeners’ sense of immersion, Meridian creates a true cinematic experience, delivering powerful surround sound like no other. Able to up-mix two-channel audio to multiple, distinct channels without generating any distortion while maintaining tonal balance, the Meridian Upmix technology increases sound immersion by improving the sound field while upgrading the clarity of vocals and lead instruments. With these exclusive and cutting-edge enhancements, the premium user experience is elevated by LG’s 2019 lineup. LG’s high-end soundbars (models SL10, SL9 and SL8) support both Dolby Atmos and DTS:X. With these two acclaimed technologies, users can enjoy breathtakingly realistic surround sound that seems to come from multiple directions and depths. With some of LG’s premium soundbars supporting high-resolution audio via an advanced processing algorithm that can upscale conventional file formats, the output comes even closer to studio quality. To bolster the already solid output and detailed soundscape of LG’s latest soundbars, users can add the Wireless Rear Speaker Kit* to achieve a more cinema-like experience. In addition to superior sound, clarity and richness, LG’s new lineup of soundbars offer the convenience of AI smart connectivity and voice recognition with the built-in Google Assistant. Users can control their LG soundbar and get information with a simple command such as, “Hey Google, increase the volume,” or “Hey Google, what artist is playing?” Compatibility with the Google Assistant-enabled smart products make it possible to control connected devices throughout the home via voice command. Simply say, “Hey Google, ask LG to turn on the air purifier,” to the soundbar to make adjustments without leaving the couch. The 2019 LG soundbars have a sleek, understated design that perfectly matches the chic style of LG’s exceptional OLED TVs, creating a seamless aesthetic when placed beneath one of the company’s next-generation TVs. At only 57mm deep, the LG SL9 can also be installed flush to the wall for a clean, streamlined appearance that saves space and makes a sophisticated statement. An integrated gyroscope sensor gauges the position of the product (fixed to a wall or on a flat surface), adjusting sound directionality to guarantee the optimal listening experience. With its distinctive form, LG’s game-changing SL9 picked up a Best of Innovation honor at the 2019 CES Innovation Awards.